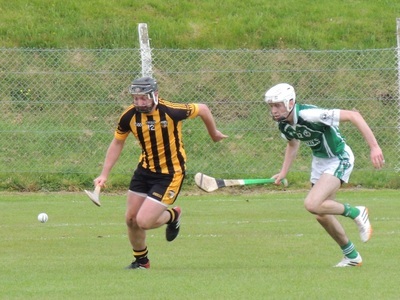 The Junior A hurlers were dumped out of the championship by Oliver Plunkets in Ballinascarthy. Kilbrittain never got out of the blocks and found it tough going in the first half. The opening stages were eagerly contested by both sides. Kilbrittain’s early chances went a begging, Eamon Lyons went close with a fourth minute free and Denis Ryan had a chance a couple of minutes later. At this point Plunkets had two points on the board, both from play. The first goal of the game came in the 9th minute when a close range shot gave Lloyd McSweeney no chance. Two points in quick succession extended Plunkets lead to 1-4 to no score by the quarter hour mark. Kilbrittain were struggling despite the best efforts of Denis Ryan, Denis Murphy and Seamus O’Brien, and Plunkets added three more points before Kilbrittain stopped the rot with a point from an Eamon Lyons free with five minutes to the break. This score breathed life into Kilbrittain As they created as many chances in those last few minutes as they did all thought the half. Despite that however, They failed to add to their score while Plunkets added another point in injury time to leave it 1-8 to 0-1 at halftime. Kilbrittain emerged more competitive in the second half although Plunkets had three early chances earning a point. Kilbrittain then scored a point from a James Deasy free in the fifth minute, An attack in the 7th minute of the half, involving Denis Ryan and Eamon Lyons saw a rasper of a shot from Lyons brilliantly saved by the Plunkets goalkeeper, and it looked like Kilbrittain might begin a come back. Any thoughts of that were thwarted as three minutes late the game was effectively over as a contest, A long range Plunkets free dropped in the Kilbrittain danger area and the breaking ball was belted to the net for their second goal. It was now 2-10 to 0-2. Game over you would expect, but credit to Kilbrittain they responded with point from Conor O’Donovan quickly followed by a long range delivery from Eamon Lyons which went all the way to the net. 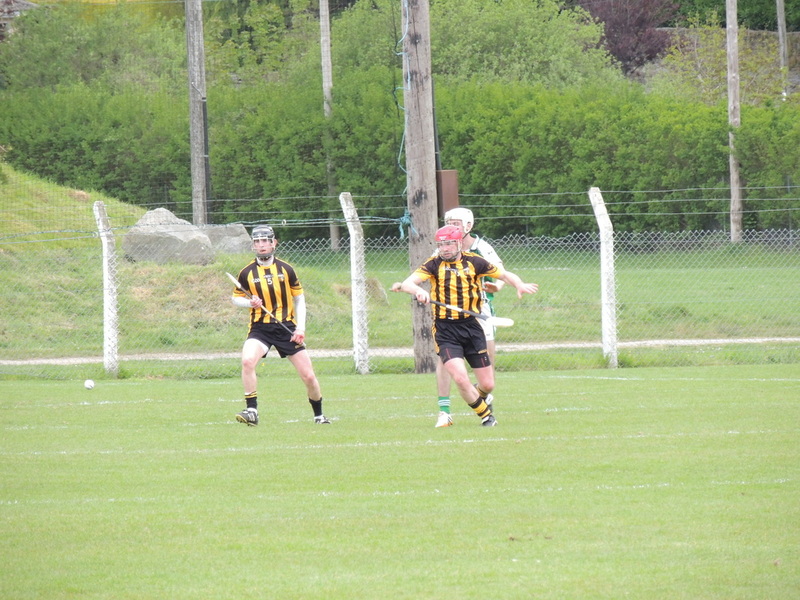 Two further pointe from Lyons and greater Kilbrittain urgency put Plunkets defence under pressure, but it was to no avail as two late points made it 2-12 to 1-5. Kilbrittain kept going till the end and did have two more chances from David Hayes and O’Donovan as time ran out and brought an end to Kilbrittains Championship campaign for 2015. 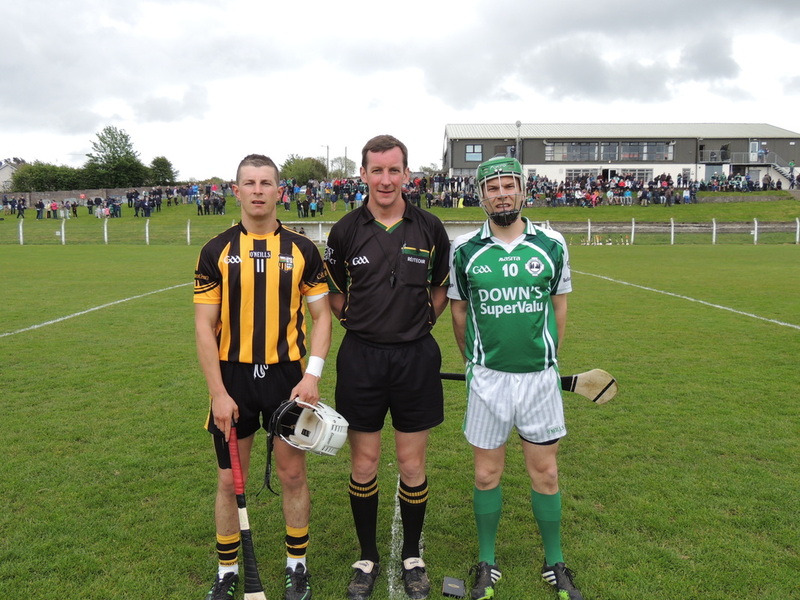 Team: Lloyd McSweeney, Dylan Twohig, Ivan Burke, Sean McCarthy, Ger Whelton, Nick O’Donovan, Denis Murphy, Denis Ryan, James Deasy 0-1 free, Ryan Lombard, Seamus O’Brien, Darragh Hayes, Eamon Lyons 1-3, 0-3 frees, Conor O’Donovan 0-1, David Hayes. Subs used: Maurice Fielding, Evan O’Donovan. 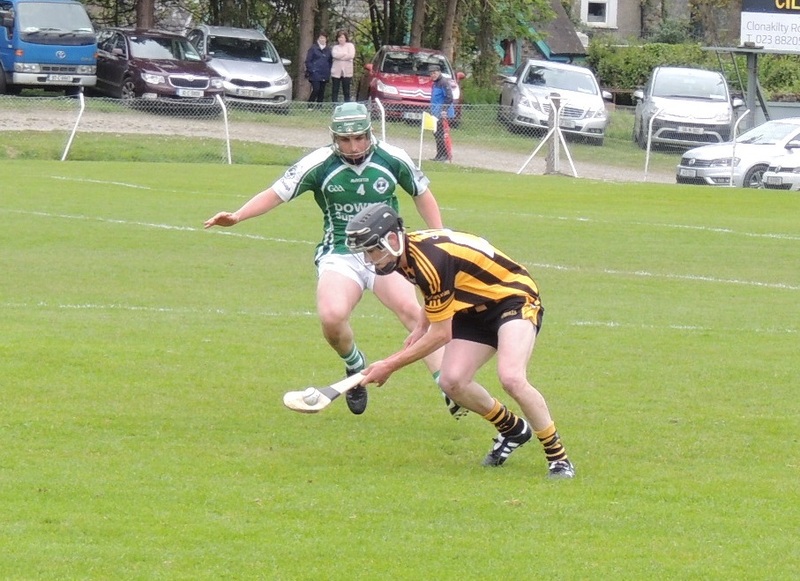 Kilbrittain 1-8 Diarmuid O’Mathunas 0-14. On a Friday evening in breezy Ahiohill the Junior B hurlers met Diarmuid O’Mathunas in the semi-final of the championship. Kilbrittain fielded an experienced team and were full value for their 1-6 to 0-5 interval lead. Playing with the breeze, they lead throughout the first half with points from Edward Sheehy, a free and David O’Neill, one each, David McSweeney and Fintan O’Connell two each. The goal came from a good move following a great pass by Paudie Hurley into Gary Hayes who gathered and made no mistake in the 20th minute. All but one of ‘Mathunas scores came from placed balls as the halftime score read Kilbrittain 1-6 Diarmuid O’Mathunas 0-5. It all started to unravel from the start of the second half as Mathunas stormed into the game with three early points. Kilbrittain’s answer was a shot on goal from Hayes which went inches wide, plus two missed opportunities from Edward Sheehy and Gerry Coughlan. A Sheehy free made it 1-7 to 0-8 by the 10th minute but during the next ten, Mathunas rattled off four more points to take the lead, three from frees, to one from Daniel Hickey. Gary Hayes should have got a free in the 14th minute when he was clearly taken out of it while bearing down on goal, but the referee waved play on. Hickey’s point proved to be Kilbrittain’s last score as Edward Sheehy missed a ’65 before a Kevin O’Neill effort went inches wide. Mathunas finished the stronger with two more points in the dying minutes. It finished Kilbrittain 1-8 Diarmuid O’Mathunas 0-14. Team: T O’Regan, K O’Neill, D O’Sullivan, E Hurley, G Coughlan, J Hurley, D O’Neill, P Hurley, E Sheehy, D McSweeney, D Hickey, M Madden, G Hayes, D O’Donovan, F O’Connell. Subs used: J Dollard, A O’Regan, D Burke. 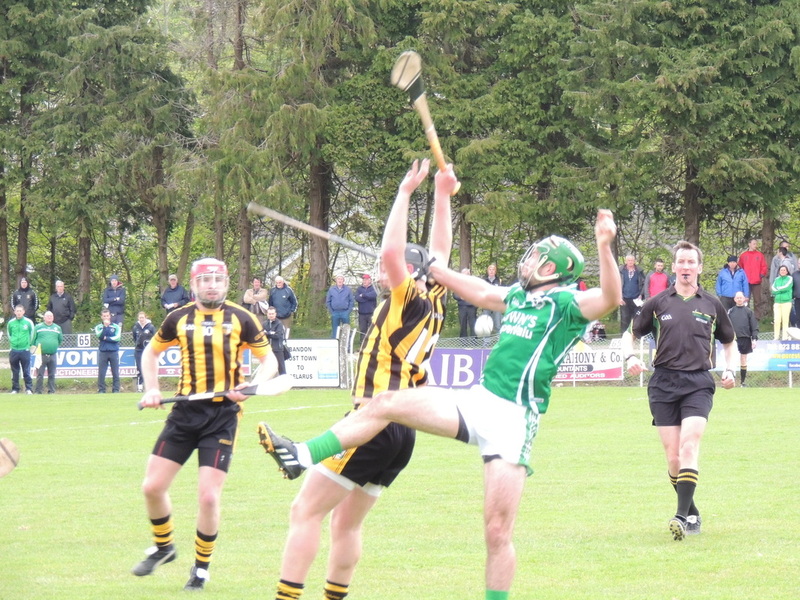 Kilbrittain opened their championship campaign on a terrible night for hurling in rain soaked Barryroe. While conditions were bad for both sides, Kilbrittain never got to grips with the game and despite holding their own for the first quarter, were playing second fiddle for most of the game. Clon were on top from the throw in but despite their early dominance, the game was level after the opening quarter 0-2 each. Kilbrittain scores both from David Hayes. 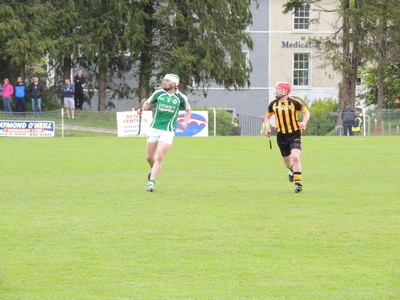 Clonakilty took the lead from a long range free in the 16th minute and never looked back. Kilbrittain struggled in a lot of areas over the field and went in at the break 0-9 to 0-2 down. Clon pulled further ahead with three unanswered points in the opening five minutes of the second half. Kilbrittain never gave up and points from Eamon Lyons in the 43rd and 48th minutes were followed by Clons last score. Denis Murphy was solid enough throughout and brought experience to a young Kilbrittain defence. James Deasy and Seamus O’Brien also worked hard while Lyons was the provider of a late goal and his third point but time ran out for Kilbrittain as it ended 1-5 to 0-13. 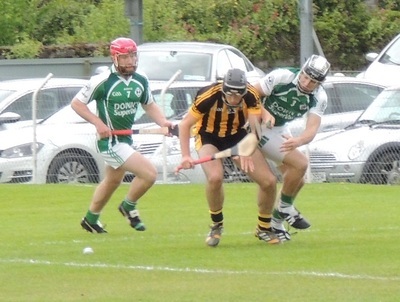 To give them credit, Kilbrittain produced a much improved second half performance reflected in the second half scoreline of 1-3 to 0-4, but with the damage done in the first half, Clonakilty eased into the third round. Having suffered relegation from premier intermediate at the end of last season, this first round game would be the most important game for the club in many years. 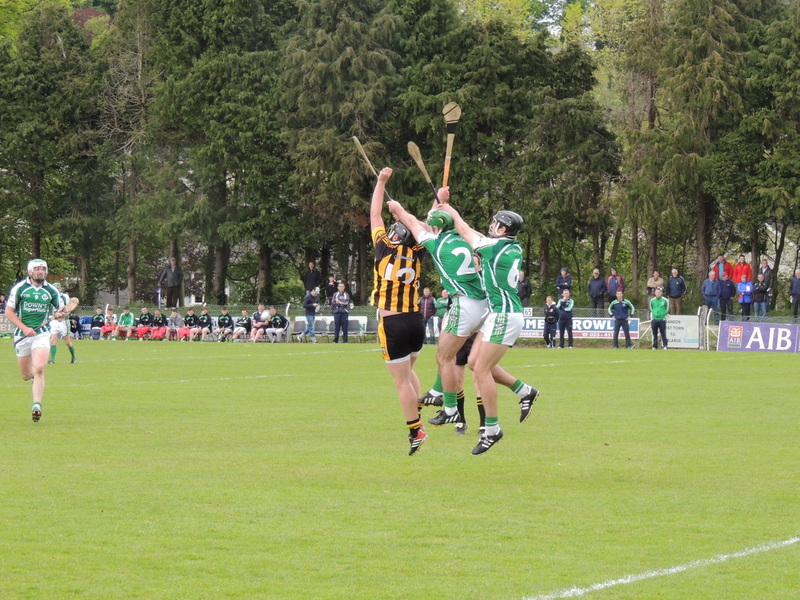 Ballincollig started brightly with two early points from Ian Coughlan and Cian Dorgan from a free. Kilbrittain playing with the strong breeze, soon settled down and two pointed frees from Maurice Sexton brought the teams level. Kilbrittain took the lead by the first quarter following points from David Desmond and a free from Sexton. The game started to liven up by the second quarter as Dorgan (3) and Sexton (2) split the uprights from frees. 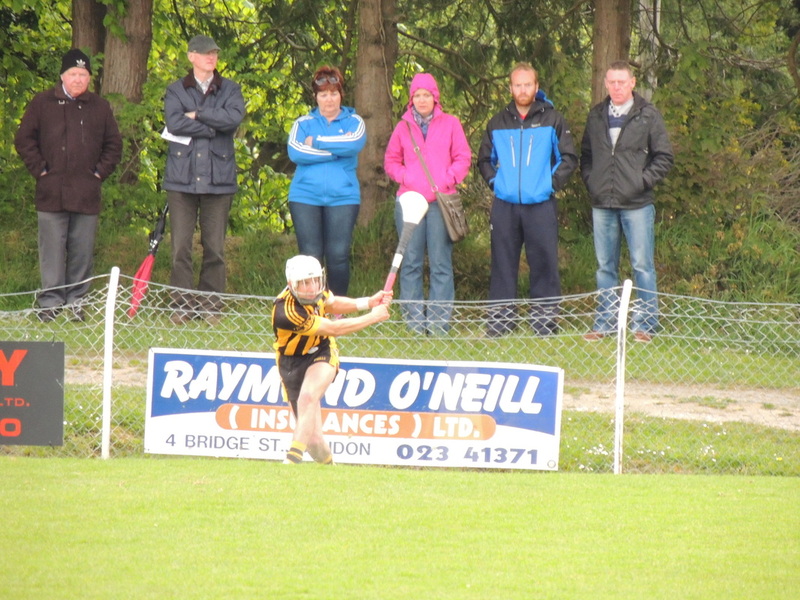 Ross Cashman pointed from play before Declan Harrington added another in reply to a good point from Robbie Burke. Up 0-8 to 0-6 at half time, Kilbrittain had it all to do in the second half as they turned to face the breeze. Ballincollig again raced into a lead with points from Dorgan from play and a free and a long range effort from goalkeeper Finbar Kelly. Maurice Sexton continued to convert the frees and brought it level 0-10 each by the end of the third quarter. Sexton, Cashman, and Pat O’Mahony all raised white flags as Kilbrittain upped the ante and lead by four in the last ten minutes. Cal McCarthy, Chris Hickey and John Murphy were playing out of their skins at this stage but Ballincollig hit the last four points in normal time to draw the game level for the sixth time. Both sides went close in the six minutes of injury time, mostly due to an injury to Declan Harrington early in the second half, and it took a fine save from Kelly in the Ballincollig goal to deny Josh O’Donovan a winning goal. It finished 0-14 a piece and so to extra time. Kilbrittain got a dream start to the time added on as Sexton responded quickest to a speculative ball into the square from O’Mahony to give Kilbrittain a vital goal and a three point cushion. Despite the goal, Ballincollig dominated the first period of extra time and by the break had added two points to make it 1-14 to 0-16. Alan Hayes stretched Kilbrittains lead as the excitement reached its peak with Dorgan and Kelly hitting points to level the game with just two minutes remaining. Maurice Sexton provided the winning score from a free to complete his tally of 1-10 to scenes of jubilation from Kilbrittain. 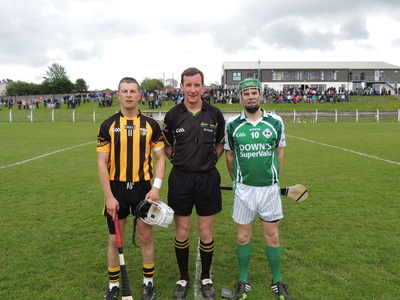 Team: Robert Hayes, Sean Crowley, Damien Desmond, Cal McCarthy, Tomas Harrington, John Murphy, Chris Hickey, Ross Cashman 0-2, Pat O’Mahony 0-1, Josh O’Donovan, David Desmond 0-1, Maurice Sexton 1-10 (0-10 frees), Declan Harrington 0-1, Alan Hayes 0-1, James Hurley. Subs used: Cian O’Leary, Patrick O’Mahony.